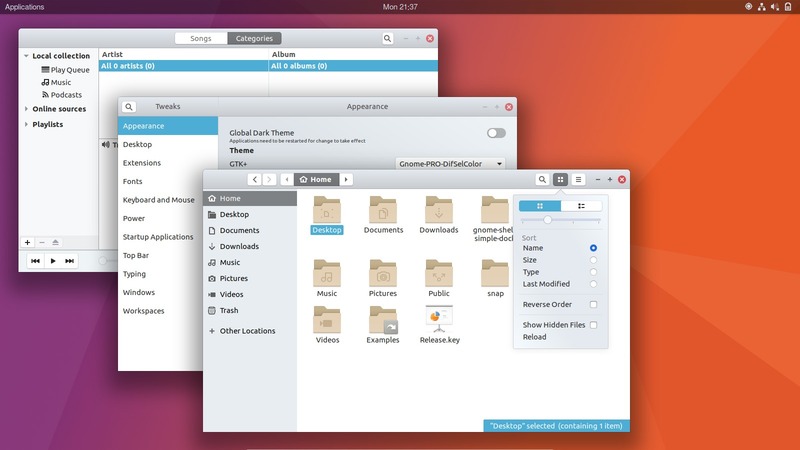 Gnome-Pro, a new GTK+ theme made by paulxfce, is a great theme for Gnome 3 Desktop with GTK > = 3.20. Chrome, firefox, Web and Opera have no issues with this theme. About the looks, you will notice some Elementary-theme, Arc-theme and Gnome-OSX. The theme so far works on Ubuntu 17.04, Ubuntu 17.10, and it requires a few theme engines to work properly. 4. Extract the tarball, and move the theme folder into .themes in the root of your user directory. 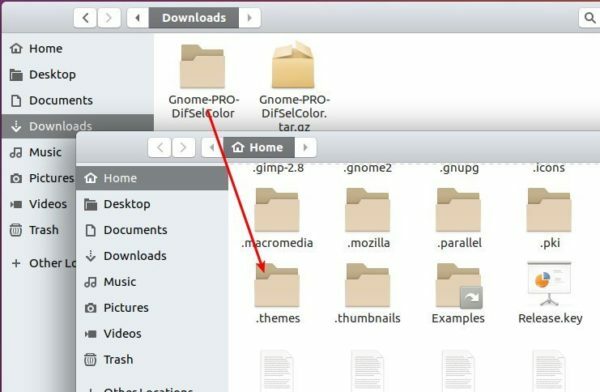 Press ctrl+h to view hidden file folders, and create .themes folder if it’s not exist. 5. Finally select the theme via Gnome Tweak Tool. Log out and back in to apply changes. Hi. What file manager is that? It’s the default nautilus file manager.